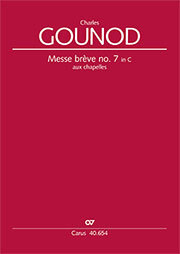 The title Messe brève no. 7 is absolutely right for this composition. 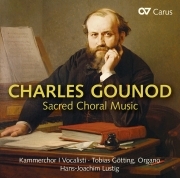 No movement lasts longer than five minutes, and as well as that, Gounod does not set the Credo. That movement is to be sung congregationally. And this makes the Mass extremely suitable for any festive church service. 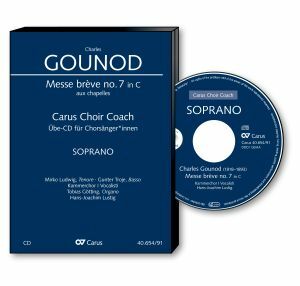 It is equally popular and suitable repertoire for smaller choirs because of its cantabile character and moderate difficulty level. 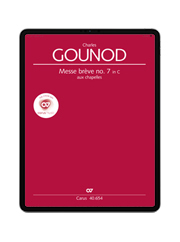 Gounod’s characteristic of his declamatory style of matching motifs closely to the rhythm of the words, and of following the natural speech rhythms through recitation on one note is evident straight away in the Kyrie and, once you have heard it, it is really easy to remember.